Facebook မွာ Auto Translation ျဖစ္ေနတာကို ဘယ္လိုျပင္ရမလဲ...? 1. What language do you want stories to be translated into?. 2. Which languages do you understand?. 3. 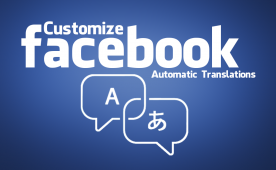 Which languages do you not want automatically translated?.